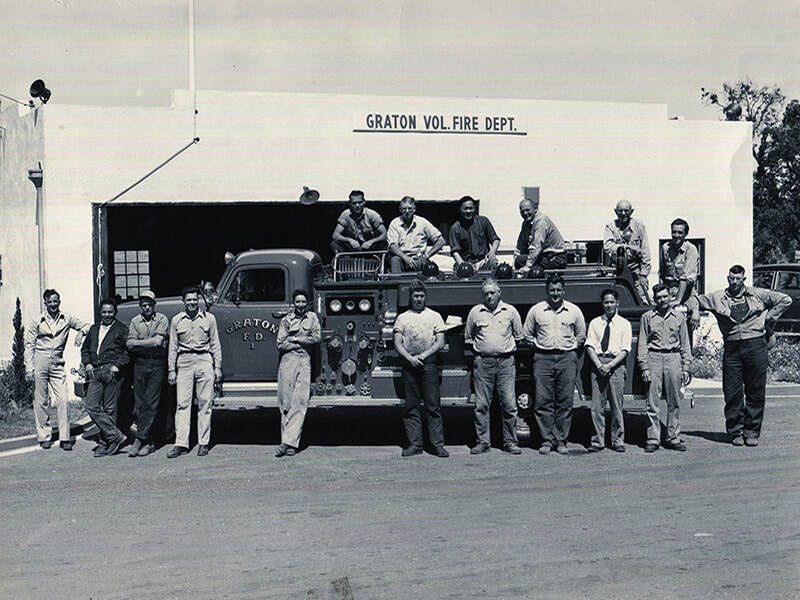 The Graton Fire Protection District was formed in 1951 to serve the community of Graton and Northern Sebastopol. Initially, when there was a need for the fire department, citizens would go to the firehouse and ring the siren, calling farmers from the fields to respond. Later on, a local business person would receive the emergency phone call and run down to sound the siren. Today, we have the enhanced 9-1-1 system that provides the caller address and dispatchers trained with pre-arrival instructions for medical calls. 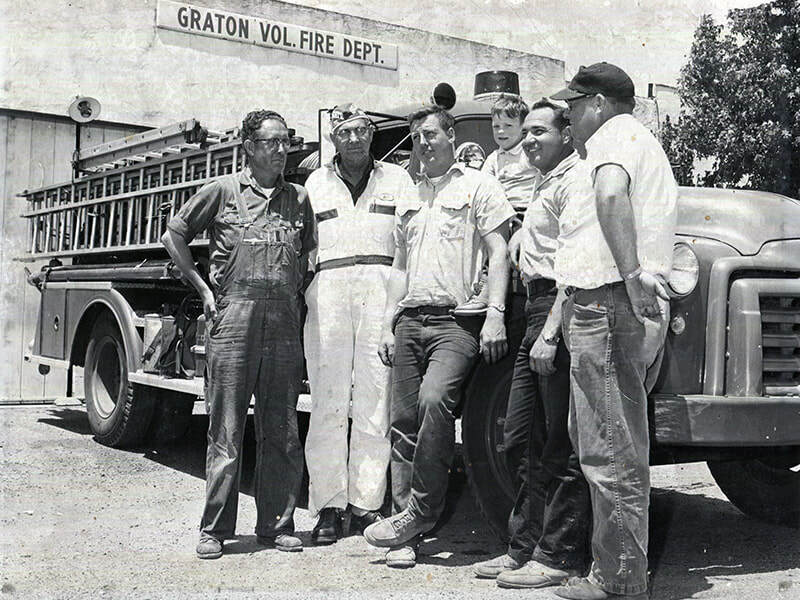 Graton Fire was one of the first to purchase the "Jaws of Life" and responded to traffic accidents throughout West County. ​We also provide assistance to adjacent fire districts within the county-wide mutual aid program. We have advanced training in cardiac defibrillation, swift water rescue, and low-angle rescue. For more information, please call the fire district at (707) 823-8400. The Graton Firefighters Association provides a number of services to the community including address signs, smoke detector education, a Halloween haunted house, holiday toy drive, educational programs at the schools, and tours of the firehouse. The association can be reached at 707-823-8400 x120. Our World War II-era siren has been a part of the fire department for more than 60 years and helps alert our firefighters and the community in times of emergency. We also use it to alert the community of immediate danger to the community. In the event of a large-scale emergency, we will sound the siren for five consecutive minutes to notify the community. If you hear the siren go off for five minutes, please tune in to your area emergency radio or television station for more information. The five-minute siren alarm is not an evacuation order; it is a notification system for the community.